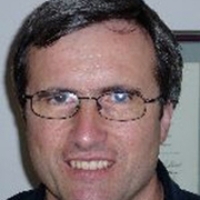 Art Hill, Professor and Chair, Department of food Science, University of Guelph, focuses his teaching and research on cheese technology, dairy chemistry, and dairy processing. Research relates to cheese making properties of milk and milk adjuncts, and milk analysis. Particular projects include more equitable farm gate pricing by integration of density into composition estimates, reconstitution of butter oil to form cream that closely mimics the cheese making properties of native milk fat globules, investigating the physical-chemical factors that cause depressed foaming capacity of milk in espresso machines, and bio-markers for grass fed milk. Regarding administration, Art has served a total of 14 years as interim Chair or Chair and served on the Faculty Association Council for several years, including one term as President. Other interests are philosophy of science and the relationship between science and faith. Beyond the campus, Art does consulting and trouble shooting in the dairy industry and has influenced government and industry policies on issues such as milk pricing, safety of cheese curds, raw milk cheese, import of dairy ingredients, and regulations that limit the amount of dried milk ingredients used in cheese making.